The Javits Center in Manhattan. Image via Steve Luciano/AP Photo. 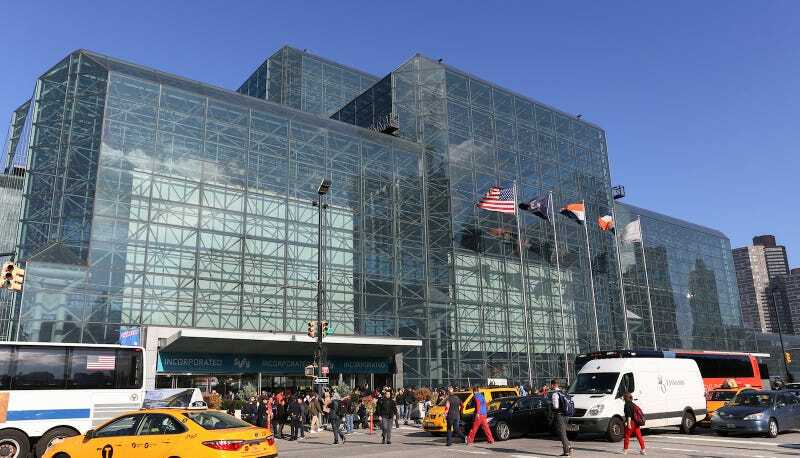 Politico reports that Clinton’s election night celebration will be held at the Jacob K. Javits Convention Center, an 1,800,000 square feet space in Hells Kitchen, Manhattan. Coincidentally, her rival Donald Trump had a hand in developing the Javits Center, which he told the Village Voice in 1978 would be “the largest in the country” (this was inaccurate; today, the Javits Center is the country’s 12th largest convention center). Let’s hope this goes according to plan!